Serving the Taos community for over 14 years with caring and professional touch. Just 1.2 miles north of Taos Plaza on the main road. NOTE: GPS may incorrectly take you to the Pueblo Indian Reservation; PLEASE stay on the paved Highway 64, also known as Paseo del Pueblo Norte. Each Therapist is trained in various modalities and all can provide firm to medium deep pressure. Some therapists also offer deep tissue massage. "Deep" is very subjective. Occasionally, clients request considerably more pressure than usual. Although we do not charge more, we suggest a generous tip for your Therapist. Since 1991, Kyoko has offered various massage and spa therapies. In October 2000, Kyoko founded Essential Massage and Spa Therapies. She created our Anti-aging Eye Pampering and Herbal Foot Wrap therapies. In 2016, Kyoko created the Crystal Cocoon Sessions in response to her own profound healing with the Biomat. Kyoko specializes in Cranio-sacral therapy and prenatal massage. Cranio-sacral helps to enhance the flow of the cerebro-spinal fluid using gentle palpation and is profoundly relaxing. Kyoko delights in working with a firm yet gentle touch. She is also our colon therapist. Amelia has been providing massage since graduating in 2006 from the New Mexico Academy of Healing Arts in Santa Fe. Her experience with Lomi-Lomi in Hawaii has served to deepen her intuitive touch. Previous to becoming a massage therapist, Amelia was a nurse and helped many patients. She can seamlessly blend her knowing intuition with her understanding of the body. Amelia also does the heated River Rocks massage, Spa Facials, Herbal Foot Wrap, and deep tissue. She focuses on each client as an individual, assessing his or her specific needs at the given moment. Born and raised in the beauty of Northern New Mexico, Brenda always felt a strong desire to be of service to people. She is a gifted therapist who blends her massage with a caring heart. She can combine deep tissue and Swedish therapeutic massage to relax and heal the body. Her touch assists the body's inherent wisdom for balance. Brenda listens to your individual needs to create a massage that addresses your concerns. Brenda also loves to share our Herbal Foot Wrap and Spa Facials as those treatments are also deeply healing. Manuela gradated from the New Mexico School of Natural Therapeutics in 1992 in Albuquerque and brings many years of experience to her massage practice. In addition to doing customized relaxation massage, she also offers Thai, Shiatsu, Oncology, and prenatal massages. Manuela's combination of nurturing deep work addresses specific areas of concern. Special Note: Thai massage is done on a mat on the floor with the client fully clothed. Please wear loose, comfortable clothing. A Shiatsu session is done on a table also with the client wearing loose, comfortable clothing. As one of the first to be licensed in New Mexico, Nancy has the experience and the compassion for helping clients deeply relax. Nancy's gift of touch and knowing hands convey a sense of calm and caring even when doing deep tissue massage. She listens with her heart and hands to find the areas of tension then assists you in releasing restrictive patterns. Her strength of both heart and hands brings comfort. Nancy is also a Registered Nurse yet she returned to her passion of being a Massage Therapist. In 1998, Ana graduated from the Scherer Institute of Natural Healing in Santa Fe. After healing herself from Lupus, she studied massage to help people know that they too, can heal themselves. After years of learning, she feels that every client has different needs and she offers many different modalities to meet those needs. Ana feels "every session is like a new dance, sometimes with tuning forks, cranial sacral, and a firm caring, loving touch". Kyoko was blessed to have prenatal massage with Ana over 18 years ago. In 1996, Satya began exploring massage therapy by attending the Dr Scherer's Academy of Natural Healing in Santa Fe. Over the years she has studied and incorporated many forms of healing such as trigger point work, neuromuscular, and polarity therapy for a client-based session. Her therapeutic intuitive approach combines breathing, relaxation and muscle engagement. Satya specializes pain reduction for neck/shoulder and low back/hips. Several doctors often refer their challenging patient to her for pain management. She has developed specific trigger point sequences to address chronic and acute pain. By accessing the central nervous system, Satya's treatments offer a deep shift toward body-mind balance. Our spa facials nourish and hydrate your face with Andalou Naturals skin care and Iris Herbal custom blend of oils. Ashleigh graduated from Laughing Lotus Yoga School in New York in 2007. While transitioning into a full-time yoga teacher, she found another way to take care of herself, too. Happily, Jennifer Moyer, became her B.E.S.T. (click to learn more) practitioner and spiritual teacher. At first, she was not convinced that B.E.S.T. was the right fit for her. Yet, she kept going back because she always felt better after the work. 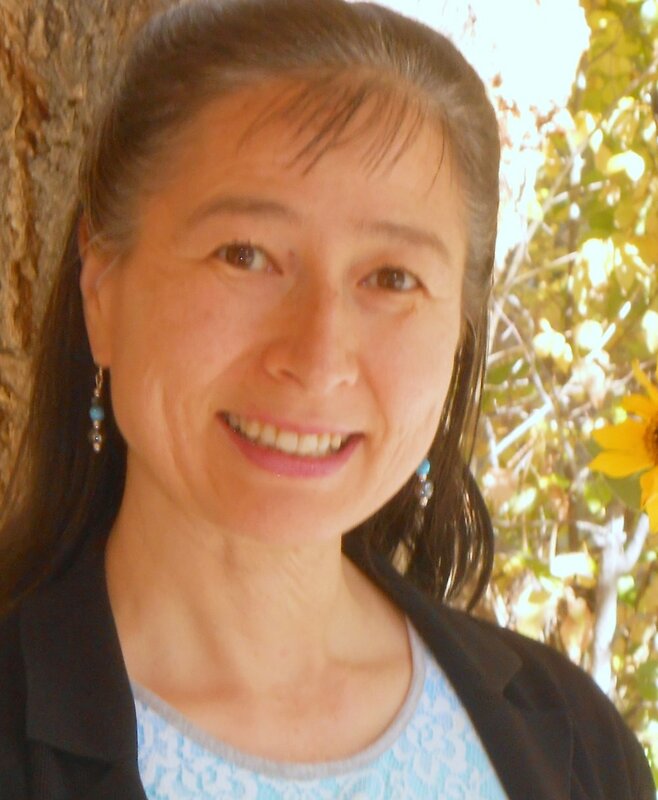 For 27 years, Kyoko Hummel, the Proprietress of Essential Massage, has been a professional member of the American Massage Therapy Association. Welcome to Taos, New Mexico; land of massage enchantment! We offer the finest massage therapy, spa facials and spa therapies in the southwest. Our wonderful therapists offer sports massage, deep tissue, Swedish massage, relaxing massage, prenatal massage, herbal foot wrap massage, facial massage, facials, and many other types of bodywork. Our River Rocks massage is one of the most popular treatments! Let our warm stones massage melt away tension and revitalize you. Reserve a couple's massage for special occasions. Spa therapies include revitalizing spa facials, anti-aging facial treatments, foot reflexology, aromatherapy body steam, and anti-aging eye pampering. Our spa therapies feature essential oils and natural plant ingredients to heal body and soul. Our exlcusive Crystal Cocoon therapy improves blood circulation and lymph flow. The amethyst Biomat® radiates infra-red warmth and negative ion therapy for deep healing. This FDA approved medical device does not emit any EMF (electro-magnetic frequency).